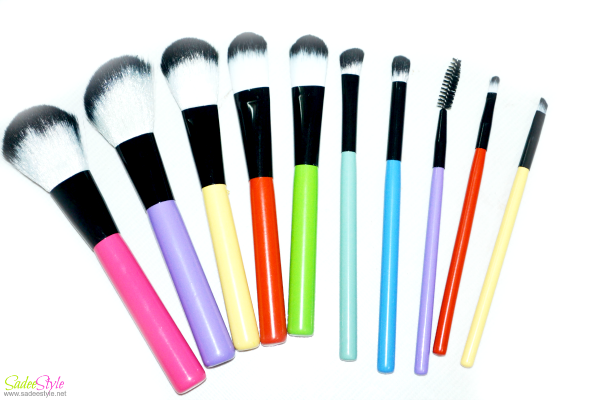 Who does not like having affordable professional makeup brushes those look beautiful and colorful also give perfect coverage with their soft and smooth bristles without shedding? So Finally, here is an option in the name of Professional 10 PCS makeup brushes. 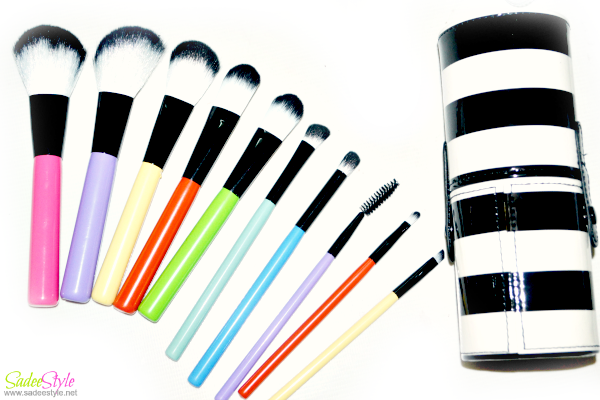 A professional makeup brushes set in prices only 9 USD that will definitely melt your heart and convince yourself to admit that expensive is not always better. Although I have many expensive and high end brands makeup brushes are available in my vanity but still I could not resist myself buying more and more makeup brushes to increase my collection. So my today's post will help beginners and the girls can not buy expensive makeup brushes can have the same quality makeup brushes in just few bucks. One thing that everyone should keep in mind that expensive is not always professional and reliable, There are many affordable makeup brushes choice in which you all can have a same professional coverage which sometimes even high end and expensive makeup brushes failed to provide. So here are all ten gorgeous brushes. A unique and best thing about this set is that every brush comes with different colors of wand which make convenient to pick the right brush every time we use them. They just don't work wonderful also enhance your stash beauty with its brilliant and vibrant colors. Brushes are made with synthetic bristles are super smooth and dense. However, I felt a little fallout in beginning but they work super fine after washing them once. I'm highly impressed with the zebra inspired leather casing these brushes came with which also make this set a travel friendly. A case made with leather help brushes to keep in shape also prevent them to get damaged. Hopefully this set contains all essential brushes one need for whole makeup look. Although I desperately needed this set to contain a lipstick brush but eye brushes are amazing and highly recommended. It's gorgeous and vibrant collection of very professional and high quality makeup brushes set contains all essential brushes and surprisingly comes with synthetic leather case which can be used as a brush holders. I would highly recommended it's really worth the price. It's only priced 9 USD and available at dresslink. These look so cute! I really love the colour of those handles. I really loved your affordable makeup brush set because of the designs of their handle. And after I read your blog, I got many ideas on how to use every makeup brush. Thank you for sharing this one.